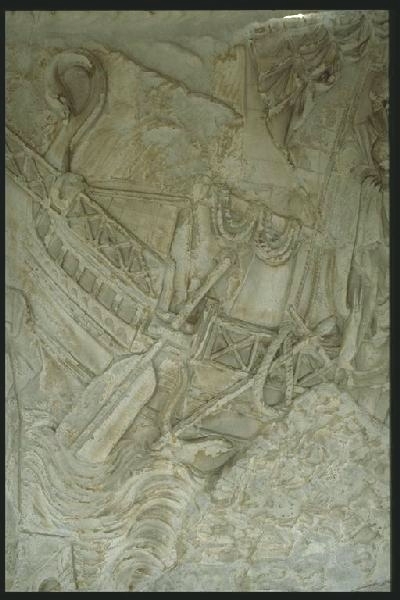 Boats were an important part of Trajan’s campaign. The first task of the campaign was to cross the Danube and fortify it against the Dacians. The Danube would be frozen solid in the winter so the Dacians could cross on foot or summer when the water was low and easy to cross (Jones). The boats helped prevent the Dacians from raiding across the Danube and they also helped Trajan’s army get across it safely. The boats were also used to help aid the building of the bridge across the Danube. The naval fleet employed by Trajan during the Dacian wars was the Classis Moesica (Matyszak) and they controlled the lower Danube and the opening of the Black Sea. A typical Roman boat would have oars the most common type having three rows of oars called Trireme. Trireme’s also had sails so according to Trajan’s column, the Classis Moesica had some triremes as well as smaller river boats that did not need sails called a liburna. The liburna’s were used to transport most likely used for raids and patrolled the river and coast for Dacians as well as transported the troops up and down and across the Danube. (Wikipedia). 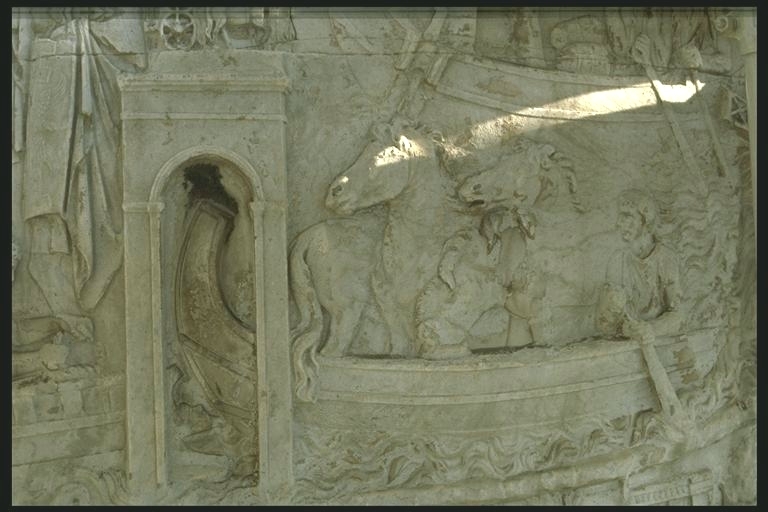 In this section of the Column we can see the Horses being prepared for a trip either across the river or down it. Brewster, Frank. “The Arrangement of Oars in the Trireme.” Harvard Studies in Classical Philology 44 (1933): 205-225. Web. < http://www.jstor.org/stable/310684&gt;. Davies, G. A. T. “Trajan’s First Dacian War.” The Journal of Roman Studies 7 (1917): 74-97. Web. <http://www.jstor.org/stable/295582&gt;. Encyclopaedia Britannica Online. Naval Ship. Encyclopædia Britannica Inc, 2012. Web. <http://www.britannica.com/EBchecked/topic/406859/naval-ship&gt;. Jones, H. Stuart. 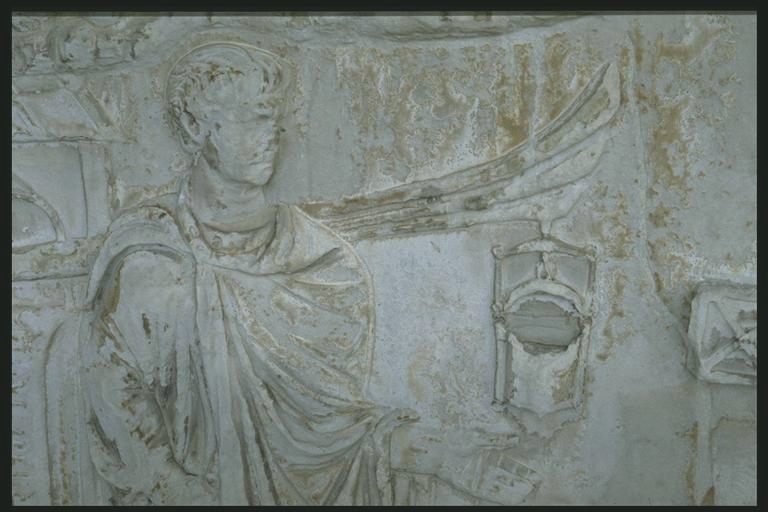 “The Historical Interpretation of the Reliefs in Trajan’s Column.” Papers of the British School at Rome 5.7 (1910): 435-459. Web. <http://www.jstor.org/stable/40310297&gt;. Jones, Prudence. “Juvenal, the Niphates, and Trajans Column “(Satire 6. 407-412″).” Harvard Studies in Classical Philology 100 (2000): 477-486. Web. <URL: http://www.jstor.org/stable/3185233&gt;. Mason, David J.P. Roman Britain and the Roman Navy. Tempus, 2003. Print. Matyszak, Philip. Legionary: The Roman Soldiers Unofficial Manual. London: Thames and Hudson Ltd., 2009. Rockwell, Peter. 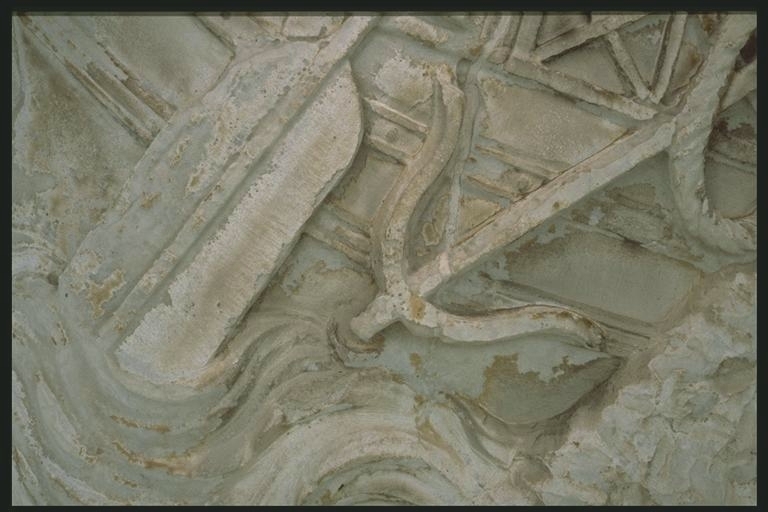 “Trajan’s Column.” The McMaster Trajan Project, 1999. Web. <http://www.stoa.org/trajan/index.html&gt;. Wallinga, H.T. “The Trireme and History.” Mnemosyne 43 (1990): 132-149. Web. <http://www.jstor.org/stable/4431893&gt;. Wikipedia. Liburna. n.d. Web. 2012. <http://en.wikipedia.org/wiki/Liburnian_(ship)&gt;.